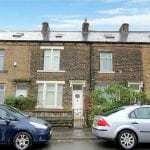 eSale is delighted to bring to the market this three-bedroom terrace property arranged over three floors, situated in a popular area of Bradford close to local amenities, transport links and well rated schools. 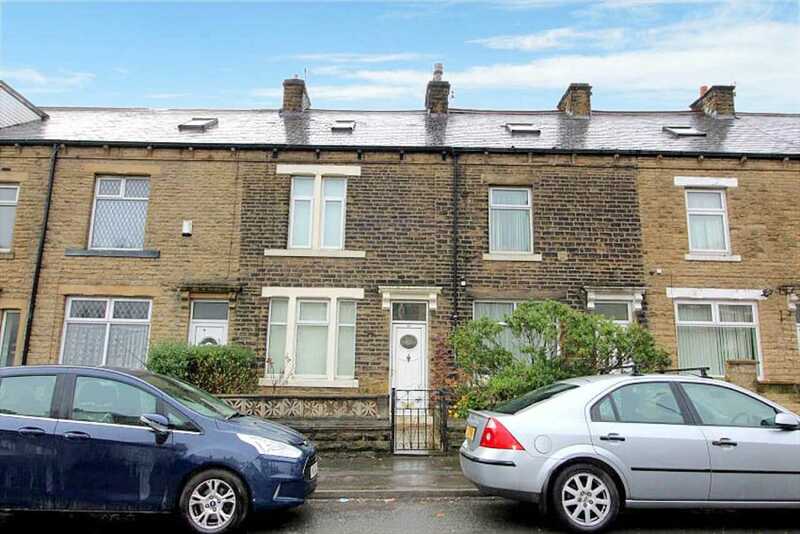 Situated within easy reach of Bradford city centre with its wide array of shopping and eateries is just 13 minutes by car, the property is well placed for transport links by road to Leeds approximately 22 minutes via A647. Bradford Interchange station is 2.5miles from the property and offers regular services to Leeds, Manchester and York. Nearby schools include Fagley primary school (0.3miles), rated as outstanding in its latest Ofsted inspection and Carlton Bolling College (0.9miles) also rated as outstanding in its latest Ofsted inspection. The property is fronted by a low decorative wall with a gate opening to the stone flagged front courtyard, a head high timber gate on the rear access road opens onto the enclosed rear garden bordered by both timber fencing and stone wall is gravelled for low maintenance and planted with an array of mature shrubs. The front door opens directly onto the entrance porch with internal door to the living room, which has neutral decor, TV and telephone points, wall-mounted radiator beneath the window overlooking the front of the property and coal effect fireplace with surround, an internal door leads to the stairs rising to the first floor and the kitchen. The kitchen with fitted, wooden base and wall units above and below rolled laminate work tops with splash back tiles above the cooking and preparation areas. A four burner induction hob with electric oven beneath and an extractor above is also incorporated into the design along with a stainless steel sink with chrome mixer tap and drainer along with space and plumbing for a washing machine and an under counter fridge, from the rear porch an external door opens to the rear garden. The kitchen offers ample space for a dining table and has stairs down to the most useful cellar, ideal as an additional storage space or perhaps utility room. Stairs to the first floor lead to a landing with internal doors to two of the bedrooms, both fitted with neutral décor and carpeting and wall-mounted radiators. The house bathroom is also to be found here and includes, a low-level W/C with dual flush, bath with shower over and folding glass screen and hand basin with towel rail beneath. To the second floor is the third bedroom, a good sized double with two wall mounted radiators and skylight to the front aspect. Low-energy lighting has been fitted to most fixed points while the property benefits from double glazing and a programmable, gas-fired central heating system with separate control valves on all the radiators, also providing hot water on demand.